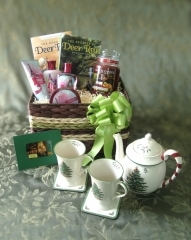 Leave a comment to be entered in the drawing for the basket give-away seen below. Who stole the flowers in God’s Secret Garden? 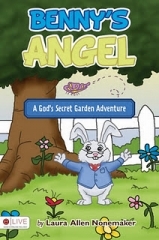 When Ella Eagle discovers that the flowers in God’s Secret Garden have wilted, she alerts Mayor Benny Bunny. The main suspect in the case is evil Count Slime, who is jealous of the joy the animals have in the garden. Mayor Benny calls in Oliver Owl, the captain of the Owl Force Wisdom Watchers, but the owls have not seen Count Slime during their patrols of the garden. Mayor Benny suggests the animals pray for an answer. God hears their prayer and sends Marietta the angel to help them solve the mystery. This delightful tale uses animals, nature, and a visit from an angel to teach children the importance of prayer and the value of trusting God. 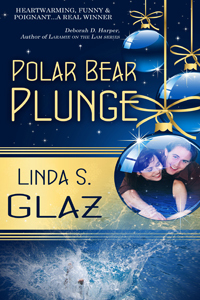 Angry with God, she finds herself even angrier, when hero, Brice Taylor, author of The Human Shield, arrives in the Emergency Room with a concussion and hypothermia after participating in the Polar Bear Plunge. Aleni wants nothing to do with a man who willingly takes chances with his life.Brice doesn’t understand how God could bring him through being a captive in Iraq, when he failed his troops so miserably. Writing about his escape brings fame he would rather avoid. And by meeting widow, Aleni Callan, his feelings of failure only increase.Megan Callan with the help of her three-year-old grandson, Ty, scheme to bring Aleni and Brice together. And while the best laid plans often go awry, Megan isn’t one to accept no. I love the idea of a returning war hero and a war widow finding each other. Most importantly, my oldest daughter, Brandy, a nurse, herself, always wanted me to write a story about a nurse named Aleni. So, when the opportunity presented itself, I couldn't resist. I did learn one VERY important thing: women like their purist romances. I've tried all types of edgy and different takes on the genre, but have learned that when certain readers sit down, they expect specific things. So, you can teach an old dog new tricks! Linda served in the military during a time when it wasn’t a politically correct thing to do. Her years as a meteorologist during Vietnam were filled with travel, teaching, and pure enjoyment for being part of the Armed Forces. Winning awards, many of which were “firsts” for a woman in the Air Force, she experienced an array of unusual opportunities normally reserved for men. Breaking down barriers was a must in the seventies. She taught karate and women’s self-defense off and on for thirty years, refereed soccer for twenty-five, fifteen of which she was one of eleven National Instructors for the largest youth soccer organization in the world. Now, she works part time in a physical therapy clinic, which seems appropriate after all her soccer/karate injuries. She spends relaxing time writing, directing, and singing in church musicals as well as directing community theatre. As she enjoys reading other peoples’ novels and encouraging them in their writing, she works as an agent for Hartline Literary Agency. Linda is married to a terrific guy and is the mother of three amazing children, three wonderful grandchildren, and a foster cat (who has found her way, in name, onto the pages of two books). Who wouldn’t want to hear about an Ophelia? After all, it was good enough for Shakespeare. Elaine Marie Cooper grew up in Massachusetts but now lives in the Midwest with her husband, her three dogs and one huge cat. She has two married sons and triplet grandchildren who are now one years old. The Promise of Deer Run is dedicated to the triplets and to veterans who suffer from Post Traumatic Stress Disorder.Elaine has been a magazine freelance writer for many years, and is a regular contributor to a blog on the Midwest called The Barn Door (www.thebarndoor.net) and a blog on Christian living called Reflections In Hindsight (ReflectionsInHindsight.wordpress.com). She is the author of The Road to Deer Run and the sequel, The Promise of Deer Run. Prior to becoming an author, Elaine worked as a registered nurse. Beverly Hills, California 90209 U.S.A.
November 21, 2011 is the 39th annual World Hello Day. Anyone can participate in World Hello Day simply by greeting ten people. This demonstrates the importance of personal communication for preserving peace. 31 winners of the Nobel Peace Prize are among the people who have realized World Hello Day's value as an instrument for preserving peace and as an occasion that makes it possible for anyone in the world to contribute to the process of creating peace. Brian McCormack, a Ph.D. graduate of Arizona State University, and Michael McCormack, a graduate of Harvard University, work together to promote this annual global event. I’m proud to have been the winner of a USA Book Award for my new edition of The Frugal Book Promoter this year and for my chapbook with Magdalena Ball to have been mentioned as a finalist. If you have a place to mention this or to pass to your audience the opportunities that USA Book News affords, that would be wonderful. If an article would be more appropriate—perhaps one on the marketing advantages of winning awards—that can be arranged, too. LOS ANGELES – USABookNews.com, the premiere online magazine and review website for mainstream and independent publishing houses, announced two of Carolyn Howard-Johnson’s books were among those that placed in THE USA “BEST BOOKS 2011” AWARDS on November 1, 2011. Awards were presented for titles published in 2010 and 2011. The Frugal Book Promoter: How to get nearly free publicity on your own or partnering with your publisher (Second Edition) by Carolyn Howard-Johnson won best business book in the writing category. Blooming Red: Christmas Poetry for the Rational by Carolyn Howard-Johnson and Magdalena Ball was a finalist in the poetry category. Oprah: A Biography by Kitty Kelley (Crown Books/Random House) was awarded “Best Biography"
One reviewer said reading Howard-Johnson’s books is like picking the brains of a master marketer. It received plaudits from industry shakers like Marilyn Ross, founder of Small Publishers or North America and Tim Bete, director of Dayton University’s Erma Bombeck Writers’ Conference. The new one carries endorsements from the likes of Dan Poynter and Tony Eldridge. Howard-Johnson, an instructor for nearly a decade at UCLA Extension’s Writers’ Program, chose to have the new edition published in both e-book format and paperback in order to give her struggling students and clients affordable and convenient choices. Whichever format a reader chooses, The Frugal Book Promoter assures an author’s book the best possible start in life. Full of nitty-gritty how-tos for getting nearly free publicity, the author shares her professional experience as well as practical tips gleaned from the successes of her own book campaigns. A former journalist and publicist (she wrote media releases for fashion designers like Christian Dior), she tells authors how to do what their publishers can’t or won’t and why authors can often do their own promotion better than a PR professional. Her poetry is published in dozens of literary and review journals worldwide. A complete list of the winners and finalists of The USA “Best Books 2011” Awards are available online at http://www.USABookNews.com. Learn more about Howard-Johnson at http://www.howtodoitfrugally.com and http://carolynhoward-johnson.com..
A bloody massacre and a merciless reprisal. Survival comes at a cost. When a distant war among the Natives spills over into a nearby skirmish, Adela McGirth’s life takes a perilous turn. Deep in enemy territory she’s challenged to keep her mother alive, her sister sane, and her new-found love from growing. A loyal Creek warrior, Totka is forced to align with the extremist Red Stick faction whose goal is to eradicate the Whites from Creek soil. In the midst of battle, Totka is assigned to protect those he is expected to hate–and kill. Life was simpler before his enemy became a beautiful face with a quiet strength and dignity he cannot resist. Read my review below. And the Good News following! April W Gardner resides in Georgia with her USAF husband and two sweet kiddos. 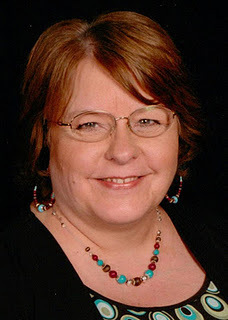 She is the author of the historical romance series, the Creek Country Saga, as well as the children’s adventure series, the Channel Islands Resistance. She is the founder and senior editor of the fun literary website, Clash of the Titles. In her free time, April enjoys reading, organizing, and DIY. In no particular order, she dreams of owning a horse, visiting all the national parks, and speaking Italian. April Gardner's debut novel Wounded Spirits is a heroic story about a little-documented era. In the early 1800s America was suffering. European and expanding white settlers and the native tribal people were at an impasse. Only the superior numbers and weapons of the whites, along with their dread diseases, forced the tribal peoples to give up their land and way of life. April tells the story of a Creek clan versus white settlers in what is now Georgia and Alabama. Before you pick up this wonderfully-told debut novel, be warned that it is book one of a projected series and you will be left aching for more when you get to the last page. Adela McGirth and her family farm near a small settlement that is at uneasy peace with a Creek tribe. In fact, Adela's father's first wife was a member of the tribe and he taught his second family to respect everyone. It's a respect that comes with a terrible price when an uprising of Creek warriors, the Red Sticks, battle the American settlers for their right to maintain their way of life and tribal territory. Adela's sister is killed and so, perhaps is her intended, a young soldier. 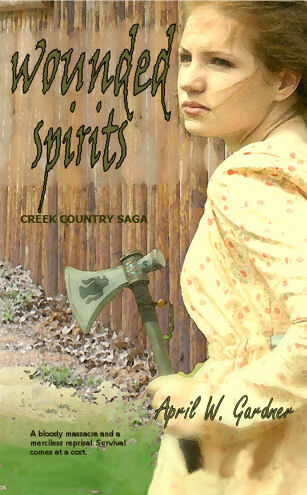 Adela, a surviving sister, and their mother who is expecting a baby, are taken as slaves by one of the Creek, a man who had spent part of his childhood with the McGirths. Adela's father had been away while the skirmish took place and seeks revenge on his former friends when he presumes his family are all killed. In the several months that Adela and her family live with the clan, strange things happen to sway her sympathies in directions she cannot understand, especially when a young Creek protector, Nokose, makes it clear he wants her as his wife. Adela's faith becomes a matter of survival and a means of coping with her sister's increasing hostility and grief and her mother's difficult and every-obvious mortal pregnancy. Nothing is easy in Aprils' story. Life and loyalty mingle with death and revenge in blurry lines. I find myself replaying events and motivations, reliving the story long after I finished reading. A Reader's Discussion Guide is included. SO... 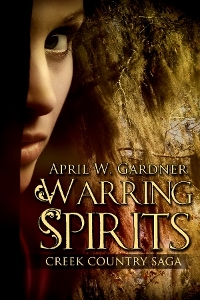 The Great News is that WARRING SPIRITS IS soon to be yours too! Watch for the upcoming special release. The Book of Ruth - A Story of Love and Redemption, is a Daily Bible Reading Devotional and love story from the Bible. Naomi and Ruth deal with unbelievable loss and one-of-a-kind romance. Through their many trials, they learn to lean on God and His sovereign will for their lives. Even though Ruth is a Moabite, she decides to follow her mother-in-law, Naomi, back to her homeland of Judah, the Promised Land. The two ladies travel back to Judah with nothing and are not sure how they will survive, but they trust God to make a way for them. As you read The Book of Ruth, you will see the story unfold and see God's provision for these two ladies.Reading The Book of Ruth will help you recognize God's sovereignty and provision in your own life. The story of Ruth as highlighted in this book opens a new revelation of God's hand at work. His grace is active in the life of those who choose to obey in humility and commitment. The prayer at the end of each lesson brings a challenge for all and ushers relevance to us today. Deborah sheds light on the truths in this inspiring book in the Bible. I love that she showed the connection between Ruth and Boaz and Christ and the church. Even though I've studied Ruth before, Deborah pointed out several details that I hadn't known. It's amazing how God speaks through His children. Deborah has a loving, humble heart for the Lord. You can see her heart throughout the book. I am so happy for her first release. I look forward to more books from Deborah in the future. I appreciated the attention to detail, the explanation of the Hebrew customs, and making the story relevant to my life so I could relate to Naomi and Ruth. Each chapter ends with a rendering of the passage in the King James Translation with a short, heart-felt prayer and study questions for further reflection. I also appreciated that the book is Biblically sound and concise and written in a style that is easy to understand. The Book of Ruth - a Story of Love and Redemption, would serve as a helpful study guide for women of all ages. Author Deborah Bateman does a great job of explaining the role of the kinsman-redeemer in reclaiming the family of one who has died. She also explains the relationships that are key in the story: 1) Ruth who loves her mother-in-law so much that she leaves her own family and homeland to care for Naomi in Bethlehem; 2) Boaz who marries Ruth as the kinsman-redeemer; 3) God who honors the lineage of Boaz & Ruth by becoming the ancestors of King David and eventually the Lord Jesus Christ. The Book of Ruth by Bateman is a tender and valuable study for a week of looking into your own family relationships as well as your relationship with God. The author of this handy, easy-to-read volume, Deborah Bateman, has captured the essence of this love in her first publication, The Book of Ruth-A Story of Love and Redemption. Bateman begins each chapter with a simple expository, followed by the Scripture verses to which it refers. Writing it thus makes it easy for the reader to remain in the book and not have to move from book to Bible. This format also makes it easy to follow the Biblical record and use it as a daily Bible reading. The prayer and thought for the day, which concludes the chapter, enabled me to reinforce what I had just read. The Book of Ruth-A Story of Redemption by Deborah Bateman is a daily Bible reading study of the book of Ruth. It is broken up into eight chapters beginning with the loss of Naomi's husband and sons. Deborah relates the story of Ruth in modern language and the reader is invited to travel with Naomi and Ruth on their journey to Bethlehem. This Bible study of the Book of Ruth is more of a reading guide, breaking the book into bite-size pieces for adults "on the fly" who have time to read a bit but not do an in-depth study. It is simply written, easy to read and follow. 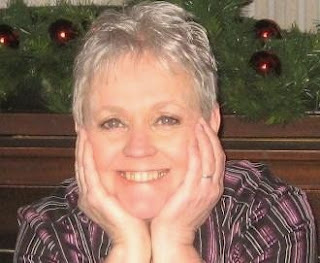 The Author, Deborah H. Bateman, loves studying the Bible and is dedicated to Sharing God's Word. 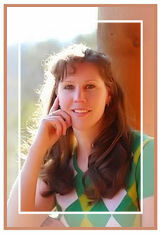 She is the Founder of Christian Daily Resources, a Christian Online Ministry. 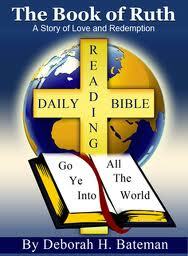 Deborah has a Daily Bible Reading Blog where she does a Daily Bible Study. This is where The Book of Ruth was started. Deborah has learned to trust God through the many trials of her life. She can relate to Naomi and Ruth's dependence on God to see them through their life's experiences. You will be studying The Book of Ruth from the Bible. You will enjoy a beautiful love story. You will be reminded of God's provision in our lives. You will see God's ultimate plan of salvation come into being. You will see how God leads, guides and directs in our lives. You will be encouraged in your walk with God. You will see God's grace at work. Your faith will increase from reading this book. You will see God's hand of provision throughout this story. You will get a clearer picture of God's sovereignty. You will see how God brings different people into our lives. You will learn about what a kinsman-redeemer is. You will see God's blessings in Ruth's life. You will be encouraged by reading The Book of Ruth. You will learn how God provided for the salvation of humankind through the genealogy of Ruth. Fighting Fear: Winning the War at Home, an interview with April Gardner and Elaine Marie Cooper, two of the contributors to this anthology. Saying good bye to a loved one leaving for war is a gut-wrenching proposition. But for those left behind, their deployment marks the beginning of our battle. And yet, it is possible to find God’s peace in the midst of fear and conquer the terror that lurks in the darkness of doubt. In Fighting Fear: Winning the War at Home, parents, spouses and siblings recount their personal journey as God goes before His people during times of spiritual, physical and military warfare. 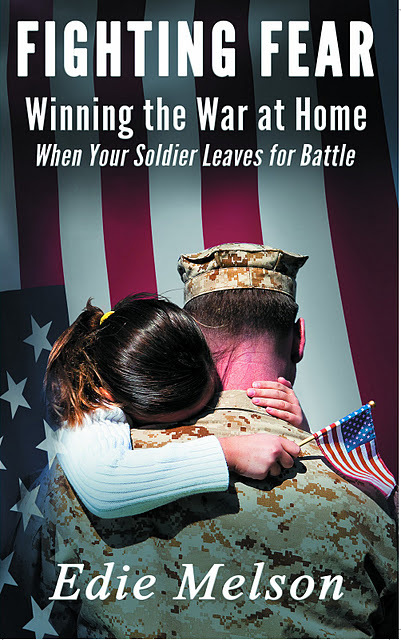 Learn the secret to living a peace-filled life when a loved one leaves for battle. Fight fear; win the war at home. 1. Tell us how you got involved in this project and what you hope will result. April: It was actually Elaine that alerted me to the project. I knew instantly that I needed to do my part, in this amazing book. Deployments are a regular part of my life. I've been there many times, and will be there again. Besides the Lord, it's been the support of understanding friends that's gotten me through. That's what this devotional is--friends reaching out to touch the lives of those who are lonely, fearful, and in need. Elaine: I got involved in this project when I saw a posting on a blog that Edie Melson was looking for contributions to a devotional for families who had a loved one at war—any war. Edie wanted first person accounts that emphasized various aspects of dealing with the real-life difficulties of having a loved one on deployment and how, as Christians, our faith was able to sustain us. Since my own son had been deployed twice, I was able to draw on the personal angst of a Mom who knows her son is in danger, yet trusting that the God Who created him would be his shelter in war. What I hoped to impart was my own real life scenario: already dealing with the loss of my daughter to cancer, limited support of my family members, and struggling to maintain faith amidst my own battles on the home front. I hope that by sharing my own moments of both fear and faith, I can help others walking in my shoes. 2. Can you share a little summary of your contribution to the book? April: When I heard about the project, my husband was in the middle of an eight month deployment in Baghdad. I knew instantly I needed to be a part of Fighting Fear, but it took months for the Lord to guide me in exactly what to write. It was over the holidays at a small town post office that God used an elderly woman and her generosity to sooth my ache. Needing to be a constant pillar of strength for my kids, I didn't know how scared and lonely I was until that kind stranger gave me permission to cry. God's strength and comfort comes in many forms and it's those forms this book addresses. My breathing quickened as I clicked to open it. There were the words that made my heart lurch and my soul cry out. My son was actually in Iraq on the ground. He’s supposed to be in the Persian Gulf on his aircraft carrier, I thought. Tears were pouring down my cheeks. Why is he there, on the ground? My son Ben explained in his note that he had been flown into the country from “the boat” to help coordinate flying missions. It was an honor and spoke highly of his character and leadership ability. But that’s my son, I cried out to God. This isn’t fair. I remembered telling my children for years that life was not always fair. Never had it seemed more unfair than three years prior to Ben’s deployment, when my only daughter was taken from us, the victim of a brain tumor. Before she had been diagnosed with this devastating cancer, the horror of 9-11 had occurred, prompting Ben to join the Navy and defend our nation. So while my husband and I fought our daughter’s cancer battle at home, Ben was sent to Florida to train to go to war in the Middle East. In May of 2006 he left for Iraq. 3. What was it like to write about this experience? April: It was tough! But good for me. Writing it freshened the experience and its encouragement. It reminded me of God's sovereignty and love. Elaine: Writing about my experience was heartbreaking. Even now reading it, the tears begin to flow. I don't know that the passage of time ever removes the deep, painful times from a mother's heart. And knowing that in 2012 he could be deployed again only adds to the distress. Yet the God Who watched over my son in 2006 is still watching over him today—and tomorrow as well. 4. Have you connected with others and/or learned something in the process of this project? April: I've been amazed at how eager and desperate people are for encouragement during deployments. Not only family members but friends, as well, who want to do something to help. Many have already told me they can't wait for the release so they can buy the book for someone in need. Elaine: Other than April and Edie, I have not connected with any of the other contributors as yet. I want to read the whole compilation of stories before reaching out to the others on a more personal basis as we share our struggles as fellow fighters of fear. 5. Anything else? Thanks for the opportunity to share about this much needed book. The war in the Middle East is now the longest war in American history. Our troops are weary. Their families are falling apart. Fighting Fear couldn't have come at a better time. About the Author:Elaine Marie Cooper grew up in Massachusetts but now lives in the Midwest with her husband, her three dogs and one huge cat. She has two married sons and triplet grandchildren who are now one years old. The Promise of Deer Run is dedicated to the triplets and to veterans who suffer from Post Traumatic Stress Disorder. Elaine has been a magazine freelance writer for many years, and is a regular contributor to a blog on the Midwest called The Barn Door and a blog on Christian living called Reflections In Hindsight. 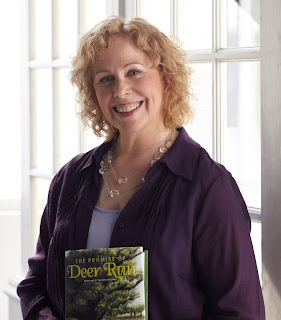 She is the author of The Road to Deer Run and the sequel, The Promise of Deer Run. Prior to becoming an author, Elaine worked as a registered nurse. Once again, Elaine Marie Cooper pens an absolutely charming tale of eighteenth century Americana. War, no matter the era, takes its toll on both soldiers and families. 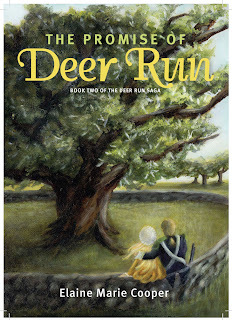 The Promise of Deer Run is a precious next story following Mary and Daniel’s story in The Road to Deer Run, picking up with Mary’s sister, Sarah a few years down the line. Be sure to read the first book too! As a historian and author, I am grateful to Elaine for her dedication to authenticity. 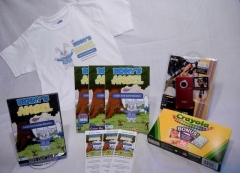 Leave a comment with your e-mail here by November 18 to be entered into a drawing for the following: Winner announced November 21, 2011. The poignant, true story of a parent's journey through the minefield of her adult child's addiction. This book will greatly increase your faith and helps others to stand firm in their faith. A genuine love of prayer will be ignited within your soul with this book; learn how to come close to God through prayer, petition and worship. This book is proof positive that God is a Mighty Deliverer and is still in the business of answering the prayers of the faithful. Truly He has the power to work all things out for good. Anita Estes resides in the beautiful Hudson Valley of upstate New York with her husband and son. She is an art teacher, freelance writer and avid gardener. As an educator, she has been honored in "Who's Who of American Teachers" for 2000 and 2005. Her work appears in several compilations including God Allows U-Turns, A Cup of Comfort, Deliver Me and Adams Media books. Her devotions have been published in Penned from the Heart, "Upper Room" and on-line. She is the author of When God Speaks: 40 Days of His Promises, Transformed-Inspiring Stories of Freedom and Letters to God on a Prodigal Son-Overcoming Addiction through Prayer. Her passion is encouraging others in their Christian walk, by calling the church to intimate and honest communication with God. She desires to help others break the bonds of addiction and pain through an understanding of God's promises. The plans of the enemy are at work in our children's lives today, but the prayer of faith has the power to destroy the strongholds of the enemy-no matter what! If you need help knowing how to undermine Satan's tactics then Letters to God on a Prodigal Son would be an ideal book for your prayer arsenal. Letters to God...will help you access God's powerful promises and teach you how to apply them to your own battle. It will show you how to gain peace in the midst of a tumultuous storm and lead you to victory. It will show you how to cope with those affected by addictions and how to pray fervently and effectively. Woven throughout the journals are entries in Lessons Learned and Suggestions for dealing successfully with these circumstances. Sure to help anyone who is coping with an addicted loved one or counseling someone in the grip of addition. It will also be welcomed by those facing challenging circumstances and trying times. On Tuesday, NOVEMBER 8 ONLY, the John 3:16 Marketing Network will be hosting a book launch for Letters to God... and you'll be able to receive a lot of FREE Gifts AND a chance to win a free gift card when you purchase Letters to God from Amazon.com on that day ONLY.